1. The 2019 elections showcased the fundamental nature of the National Question thus necessitating a resolution along Ethno-National, Lingual and Cultural lines. 2. The 1979 imposition of the Presidential System of Government aimed at cementing the military’s vision of a Unitarized Nigeria and legitimized through a series of elections under the imprimatur of the Central government was further reinforced by the 2019 elections,despite attempts by the APC Administration to make the elections different fromthose preceding it by appealing to its economic development credentials whilesimultaneously aspiring to higher levels. 3. Nigeria’s political economy depends on spending over 70% of her income/revenue on recurrent expenditure, with emoluments of political appointees and elected officials consuming the majority of this revenue while the 36 States were made to become dependent on the center, and only sustained by monthly allocations thus making the Nigerian post-colonial State the largest consumer of the revenue rather than the Peoples of Nigeria. 4. Reinforcing this paradigm became the sole electoral motif; the Presidential System enabled not only the massive monetization of electoral contests, but also created a pathway towards neutralizing Ethno-National and Cultural expectations, both of which are the crux of Unitarization and Centralization of Nigeria as opposed to the Parliamentary System which ushered in Nigeria’s Independence. 5. Yet, Electoral contests under a Parliamentary System, under the supervision of the Regions, will not only reduce spending by candidates since a contestant only needs to campaign in his or her own immediate areas but will also empower and enable cultural and social determinations with their own consequences and rewards, more so when remunerations of elected officials are not different from those of other public service officials and the Region is not dependent on allocations from the Center but on its own internal political economy. 6. For the Yoruba Nation, and for the second time in a space of 20 years, history is repeating itself. In 1999, the AD, arguably the Party of the West, had electoral control of the entire Region and was poised to challenge the Unitarization imposed on Nigeria by the military via the fraudulent 1999 Constitution. The AD was not in control of the center; indeed, the PDP, which was in control, was in violent and virulent opposition to the AD, where the then President, Olusegun Obasanjo, although a Yoruba, made no bones about his attempt at reinforcing Nigeria in the military’s image as a Unitary entity, as envisaged by his political platform, the PDP, contrary to what the AD espoused. 7. While holding the Nigerian post-colonial State by the jugular, the AD surrendered its strategic advantage because of its inability to separate primary from secondary contradictions which was then playing out and retreated into a misapplied cultural matrix, even as it was unable to generate a template or process towards achieving Self-Determination or Autonomy for Yorubaland and ended up making political choices inimical to the Yoruba; the most prominent of which was the surrender of the quest for Autonomy/Self-Determination to Olusegun Obasanjo’s militarized political machine, with both of their eyes closed and from which it has not recovered. 8. Despite the written and public warning by a coalition known as Alajobi, as to Obasanjo’s move to neutralize Ethno-National and Regional centers of power, especially in Yorubaland, the “socio-cultural” forces in Afenifere responded by attempting to coerce Alajobi into its orbit, which of course failed, resulting in Afenifere’s descent into all sorts of political somersaults as to its real intention on the quest for Autonomy for Yorubaland. 9. This eventually led to, first, creating an unnecessary dichotomy between the “political” represented by the electoralists in the AD and the “socio-cultural” represented by Afenifere, which ascribed the epitome of Yoruba expectations to itself; and secondly, creating an atmosphere susceptible to a very narrow and negative definition of nationalism whereby Yoruba from states other than their own were described as foreigners, especially in Ondo and Ekiti States, then under the influence of the PDP or its affiliates and with the Oyo State PDP now embracing the categorization, all of which ran counter to Yoruba historical reality, to wit, the pan-Yoruba efforts, led by the Ibadan forces, in truncating Fulani incursions into Yorubaland as well as launching the “war to end all wars” in order to create a singularity of Yoruba Purpose. 10. In 1999, Yorubaland was in direct opposition to the center; in 2015, the politically dominant ACN was directly instrumental in bringing about the government in the center and now in 2019, as part of the APC, are embedded in the center’s expectations and aspirations. 11.The question therefore is whether the Yoruba, under this circumstance, will be able to push through the necessary processes towards the complete Constitutional Re-Formation of Nigeria; for, if, in 1999, when the battles lines were very clear, the opportunities were frittered away, what prospects exist when we are part of the center that must be challenged and changed? 12.Despite claims of infrastructural and economic development by the current government, which can rightly be considered the epitome of Nigeria’s Unitarization, a comparison with what obtained in the First Republic would show that what is being projected as development is, in reality, the furtherance of a colonial economic paradigm, whose infrastructural development was aimed at simply retaining the colony as the primary provider of raw materials and nothing about human capital development; the sole reason why, in October 2018, Jim Yong Kim, when he was still the President of the World Bank, reiterated the necessity “for investing in people – with a fierce sense of urgency… Every day that you don’t build human capital, your economy, and your country, will fall farther and farther behind. This is the economic reality of our time”. 13.Yet, the Western Region, because of her Autonomy of action, as limited as it was, already devoted, more than the required to the development of education as the surest way of investing in the People, as early as 1952, not only through the now-famous Free Education but also investments in tertiary education with the establishment of the University of Ife as well as serious attention to the cultural development of the Yoruba, all aimed at enhancing the development of the People. 14.All of these were truncated by the Centralization of all forms of economic and political engagement which saw to the reduction of the essence of these interventions, even as these remain the imperative for economic development. 17.From the perspective of education alone, and the depths to which Centralization of education has sunk in a Unitary Nigeria, it is obvious that for the Yoruba, there can be no political-economic advancement without resuscitating the social and cultural philosophy that drove the Western Region of the First Republic more-so when their pan-Nigerian replacements cannot serve the same purposes for which they were established in the first instance; their raison d’etre being the neutralization of Regional expectations. Thus, when the University of Ife became a “federal” Institution after being taken over by the centralized government, it lost its cultural momentum and education, in general, became a shadow of itself and this is not even only in the Western Region but throughout the country. The same can be said of other establishments and institutions. 18.From all these, a Unitary Nigeria is a negation of the Identity of the Peoples within that territory as Nations, in and of themselves; an Identity which is expressed through their social and cultural praxis and which a Unitarized Nigerian State seek to destroy. 19.Without Identity, the people become lost and become tossed to and fro by every wind that catches the fancy of its operators and therefore cannot “become” their fullest expression but can only “be” what her neutralizers wish them to be. Yet, the European creators of Nigeria and other African countries were established based on their own Identities, as Nations in and of themselves. 20.The first element of negation is Language. Studies have shown that mother-tongue education is the best route towards social and economic development, as even shown by the examples of the “developed” countries where their mother-tongues, be it French, English, German or Korean, constitute the source of production and reproduction of knowledge, as well as the foundation of their architecture of State while ours is being lost in the plethora of Languages being foisted upon us by a Unitarized State Structure. 21.For the Yoruba therefore, a determination must be made whether our being Nigerians contradict and conflict with our Yoruba Identity as a Nation in itself more-so when there are Yoruba People outside Nigeria, especially across Nigeria’s boundaries in West Africa. 22.While it may be true that all human beings want essentially the same things, like food, clothing and shelter, it is equally true that pursuit of these things are the major causes of human conflict since their pursuit is conditioned by their existential prerogatives; therefore, the resolution must be within the question of Identity. Thus, rationales are found for Fulani nomads to operate all over West Africa, despite the conflicts and mayhem that usually accompany their journeys while non-Fulani Peoples are usually summarily expelled from other countries after being accused of being economic scavengers as it had happened in Nigeria with the expulsion of Ghanaians and still happening in other West African countries today. 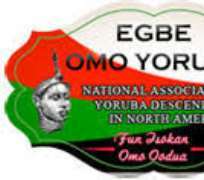 23.On their part, the Igbo pursue their food, clothing and shelter in as many parts of Nigeria as they are able to live in; yet would make attempts at neutralizing Autonomy of action by Indigenes, under a false narrative of “nation-building” as if other Peoples are incapable of building Nations or expecting only the Igbo narrative as the only plausible pathway. Would it then be inferred that both the Fulani or Igbo and non-Fulani, non-Igbo are not in pursuit of food, clothing and shelter? 24.The question now before the Yoruba People and APC in Yorubaland is therefore not about infrastructural development as necessary as these are, but the liberation of our political space through Autonomy or Self-Determination for the Yoruba through the Constitutional Re-Formation of Nigeria along Ethno-National, Lingual and Cultural lines. 25.Towards this goal, Egbe Omo Oduduwa calls on other individuals and organizations to become part of the effort to produce and massively distribute the “Bill for a Referendum in Yorubaland” among the Yoruba at home and the Diaspora, for engagement and with the ultimate aim of submitting the Bill to all the Yoruba Houses of Assembly, including Kogi and Kwara Houses of Assembly, for action.